This post may not be helpful for all my readers, but I hope my advice for expats will help you. Also, that you find it interesting to get an insight into what moving abroad entails and if you are thinking about it, that this will help you ask the right questions wherever you are going. I will point out that all things listed here are American focused since I am American. The list would be huge if I tried to include all nationalities. I asked lots of Qatar Expats for their opinions, and this is a collection of their responses. One person only said she wishes she had brought less! Seems a bit ridiculous as Qatar has clothing stores! However, I have struggled with this one more than I thought I would. This is due to a lack of familiar options, lack of sizing and the prices. – Unusual sizes – I am petite, and while there are petite sizes, they are not a lot of petite options. Almost all the pants I have bought here have had to be altered. Also, there are few plus size options, and a friend told me the clothes were not pretty. – Familiar brands – We do have stores like Gap and a Banana Republic, but the selection is less than half of what you would find in the U.S. There is no Macy’s or Dillards here. However, we did get an Old Navy last year! This also applies to underwear. Only once have I bought underwear here and I didn’t like it. – Shoes – There are familiar brands of shoes, but they tend to cater to local tastes. I have a hard time finding flats and shoes that aren’t covered in bling. Larger women sizes are also difficult to find. – Prices – Clothes and shoes are more expensive here than in the U.S. There are also fewer sales because they are heavily regulated. This applies to children’s clothes and shoes as well. Tampons – rarely find them and not the brands we have in the U.S.
Limited birth control brands – over the counter, though! Fortunately, this not as much as an issue. However, some brands and things are hard to find. Items marked with an * are available here but are much more costly or are only sold in small sizes. Also be aware that sometimes you find an item, and it disappears for a while, or it never returns. Kitchen tools you prefer – I brought measuring cups since Qatar is on the metric system. Foam mattress toppers – I bought mine here at IKEA, but it costs a fortune. One person said they brought them one-by-one on trips home. Finding DVDs that work here or finding a DVD player that works here is difficult. Bring what you really want to watch and us the DVD reader in your laptop to connect it to your TV. Bring the connector as well as the one I bought here cost an arm and a leg! Sign up for Netflix, Amazon or Hulu. If you have kids, this is especially important as many of the kid’s tv shows are in Arabic. If you are a crafter, you will find limited supplies here. The quality is also not great. Although, you can find fabric here at the fabric souq. Be prepared to order what you need or bring a healthy supply. One person said you needed to bring a whole Michael’s with you and that is not an understatement. Art supplies are also limited and are really meant for the hobbyist and not serious the artist. Books are another thing we are lacking. There are not many bookstores and the selection is limited. There is now a public library at Education City which is quite large. As you can see the list is long and there are probably tons of things I have forgotten. 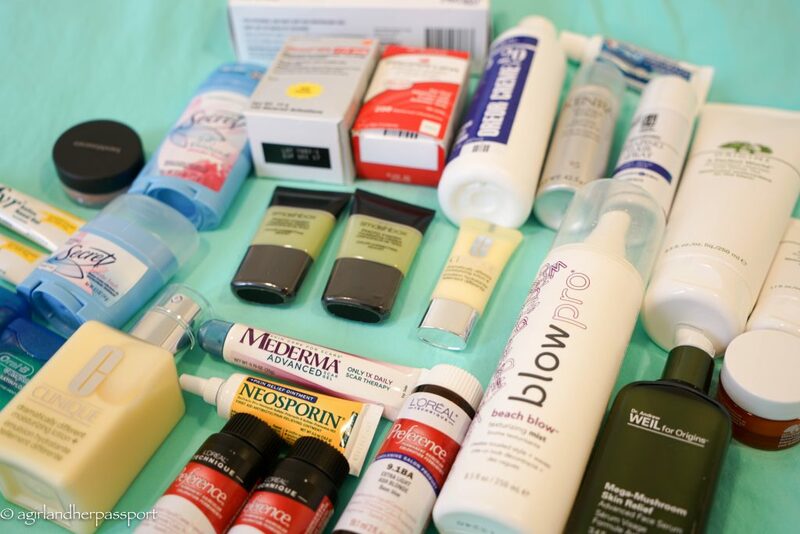 A friend of mine here also wished she had brought 3-4 months of all of these things, so she didn’t spend so much time, in the beginning looking for them. If you have space, I would recommend it. Also, I cannot stress enough to ask for specifics on what is being provided to you. I arrived to find two of the smallest towels on earth in my apartment! 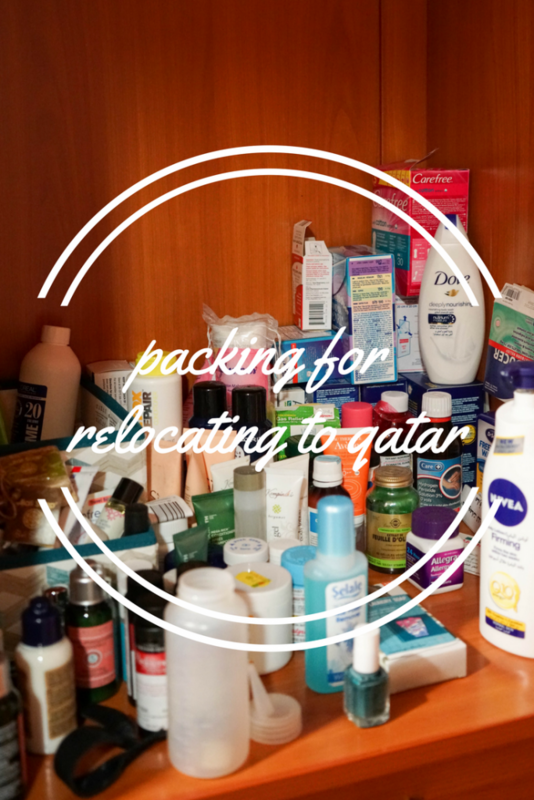 Have you relocated to Qatar? What do you suggest bringing? Share with us in the comments. Before coming home, I had asked my Mom to clear some room in the closet and a drawer for me so I wouldn’t have to live out of suitcase for the month I would be home. She hadn’t gotten around to it by the time I arrived. Which ended up being good as yesterday she and I went through what used to be my old closet and unpacked some memories together. The closet is now a mash-up of her off-season clothes, my nieces hand me downs, and clothes that have sentimental value. My prom dress is there. My Mom’s first formal is in there. All my sister and my oldest niece cheerleading jackets are in there. So with each handful, my Mom pulled out, we would say, “Remember this!” or she would say “You never saw this costume.” We had a great time looking at things we hadn’t seen in awhile. Then there were the things my Mom hadn’t seen from my travels and Qatar. While I am not a big souvenir buyer, I do occasionally buy things. I have also been gifted many things over the years. We oooh’d and aahh’d over these things as they were unpacked only for most of the to be packed again. I am mostly sad that all my lovely things will not be on display again. Memories continued when I took some things down to the office for long term storage. I found some knee high heeled boots from my New York days. They promptly went in the trash as the leather had dried out. I returned Christmas decorations that had been taken to Qatar to their box and admired the ones I hadn’t seen in awhile. I went through a few boxes and decided it was time to let go of a few things in them as well. So many people have commented on the fact that I have gotten rid of so much stuff when I left Qatar, but that is just it. It is just stuff. I am sure that when I return home again, I will have forgotten half the things I have packed away on this trip. Just like those boots I had forgotten about! What memories would you like to unpack? As this post goes live, I will be on a plane leaving Qatar for good probably crying a little. I have lived in Qatar for almost four years and have grown to love the land, the people and the culture. Despite it being a sometimes difficult place to live for a single person, I will miss it terribly. 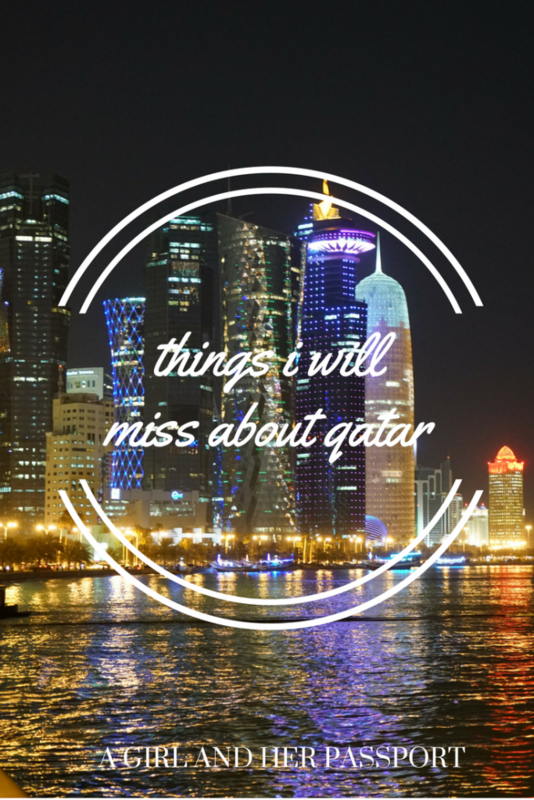 Here are some of the things I will miss the most about Qatar. Living in a foreign country is nothing like visiting a country on a trip. My patience was tested on a daily basis. On any given day, I would also complain about something that had irritated the American in me. However, I have learned more patience and understanding from this. Not only this, but I have learned about new things this way. I have tried new foods and traditions because of this. I will miss my friends and coworkers. In Qatar, being an expat means that your first friends are likely to be your coworkers. We get together outside of work and celebrate holidays together. I have made some great friends here as well that are planning on meeting up with me on the road, and I can’t wait. My students are also a part of this. I work in a school with less than 500 students, so I know many of them personally. I will miss seeing them grow and graduate. But it isn’t just people I am close with that I will miss. I will miss meeting new people from new places. Many times I go to dinner with people, and there are five or more nationalities at the table. At my going away party there were people from eight different countries! Learning about other people’s cultures while being here has been the best thing about living here. Qatari culture is traditional and modern at the same time. They still participate in cultural traditions, such as falconry, souqs and shisha. However, they also love malls, cars and five-star restaurants. This has been the best of both worlds. I have learned about their traditions and their values. The family is huge here, and I appreciate that. Everyone will ask after your family even though they have never met them. I haven’t just learned about Qatari culture, but all the expats I have met have shared with me their culture and traditions. I have learned about Indian festivals, Aussie footy, Thai food, and I can now understand an Irish person speaking English! Ah, the food. Food plays a central role of social activity here. This is due in some part to the restrictions on alcohol as people don’t gather at their neighborhood bars but at their favorite brunch places or holes in the wall. You can also try food from all over the world with ease. The world is truly represented in food in Qatar. Not only that, but people bring food from their home countries for you to try. My last week of work, my Indian coworker brought me some of the food she had made for her family the night before. Homemade Indian food is so much better than restaurant Indian food. Last night, I went to a party, and there was Turkish food, and I will miss homemade hummus! Living in a country without much green has been a bit hard, but it has made me love the desert. I have driven all over the desert here to explore the country. I have loved off-roading in my Jeep. The desert holds secrets that would have never have revealed themselves to me if I had gotten out and explored. I have seen camels on the beach and desert flowers. The desert also gets green when it rains! Who knew! Yes, I know Ramadan will continue no matter where I am, but experiencing it in a Muslim-majority country has been something I have enjoyed. By nature, I enjoy learning. Learning about the Qatari Ramadan traditions, the meanings behind things and the spirit of giving has been one of the highlights of living here. I truly believe this has made me a more accepting person. I will miss the Eid holiday as it always signified a vacation for me. Yes, less of a meaning than Ramadan and definitely not what they celebrate during this time. Although many Muslims go on vacation during this time as well to be with family. Best of all there were two of these a year I was given vacation time around! Double the fun. I loved my Jeep, and it got lots of use driving around the country from the desert to the beach. The fact that it was red meant people noticed me coming down the road and I hope it helped me avoid accidents. In a sea of white cars, it was easy to find in the car parking lots. I actually cried when I sold it. Now a nice Lebanese guy owns it and is taking his new dog on adventures in it. Now that I am going to be traveling full-time, I won’t have a permanent place of my own. While the apartment had its weird quirks, I have enjoyed it. It is the largest place I have lived in by myself, and I slowly grew into being able to stand on the balcony without fear. It took awhile, but it became home. There are probably things about Qatar that I will miss that I have failed to mention here, but something somewhere will remind me of it, and I will think of Qatar. As we say here, I love Qatar! Packing to go on a trip is stressful, at least for me. I make lists and usually pack a few days before just in case I have forgotten anything. So imagine packing your entire life up to move back to your home country! The packing is not only stressful, but it is tedious. Every item that is in your house has to have a decision made about it. Every pen, every piece of paper, every book and magazine has to be touched and a decision made. Do I keep it, toss it, donate it or sell it? Obviously, storing anything is not an option. Then you realize whatever you decide to keep has to fit into your suitcases since I am not using a shipping company to send my stuff back. This means you really have to get brutal with the keep, toss or donate decision. I am only taking my favorite clothes, shoes, books and the few souvenirs I have collected. I am hoping to go in four or five checked suitcases. Why so little? Well, I technically don’t have a place to live in the US. All my things will go into storage at my parent’s house along with all the stuff that is in storage there already. I am very lucky they have enough space to keep my stuff, and I don’t have to pay for storage while I am on my long trip. I know some people would have a hard time purging so much of their stuff because we all become so attached to the things we own. However, I did this when I moved to Qatar, and except for some furniture and one pair of shoes, I don’t remember a single thing I got rid of. Honestly, individual items of clothes and knickknacks, I have no idea what I owned now. So, I don’t miss those things at all. After this move, I will write a whole post on how I have done this. 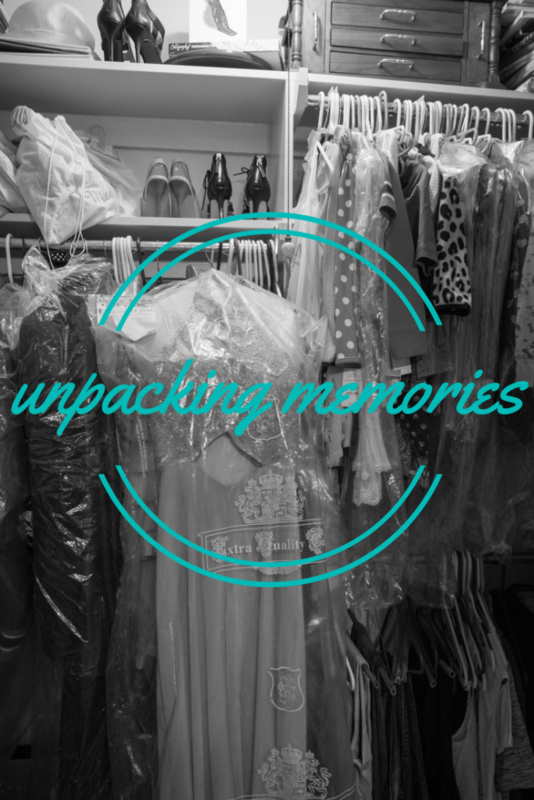 Have you ever given away or sold most of your things when moving? 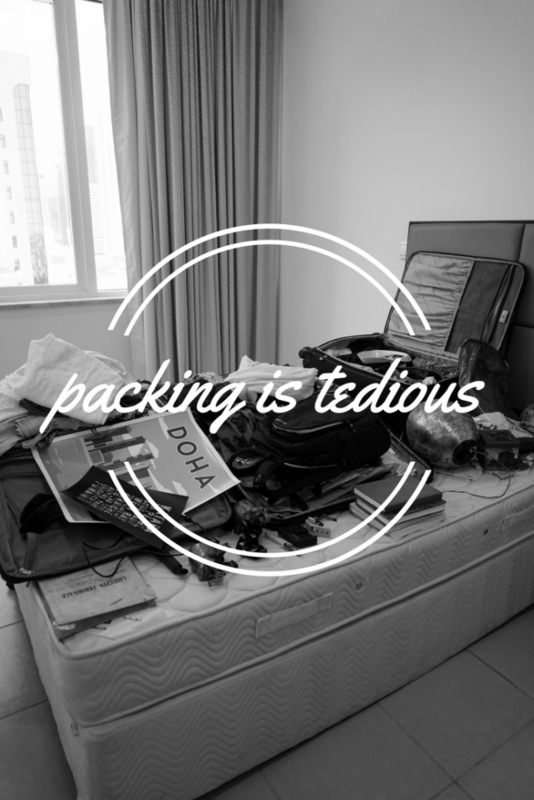 Do you find packing tedious?